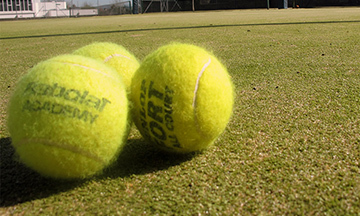 The membership year begins on 1st April and ends on the following 31st March. 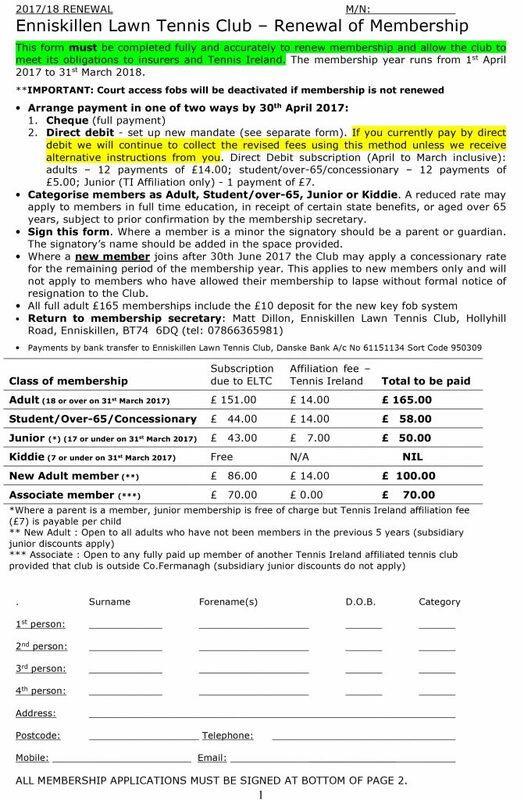 Reduced rates may apply to applications for first time membership made after 30th June, or where adult applicants are engaged in full time education, in receipt of certain state benefits, or aged over sixty-five years, subject to prior confirmation by the membership secretary. 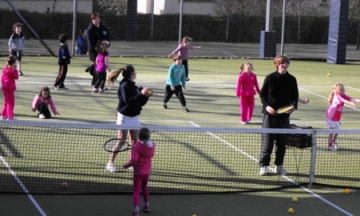 The categories of membership are Adult, Student, Over 65, Junior or Kiddie. All full adult £165 memberships include the £10 deposit for the new key fob system. From this year forward Junior fees can now be paid via direct debit provided we receive an up to date mandate. I will write separately to all members currently paying by Direct Debit with the options available. 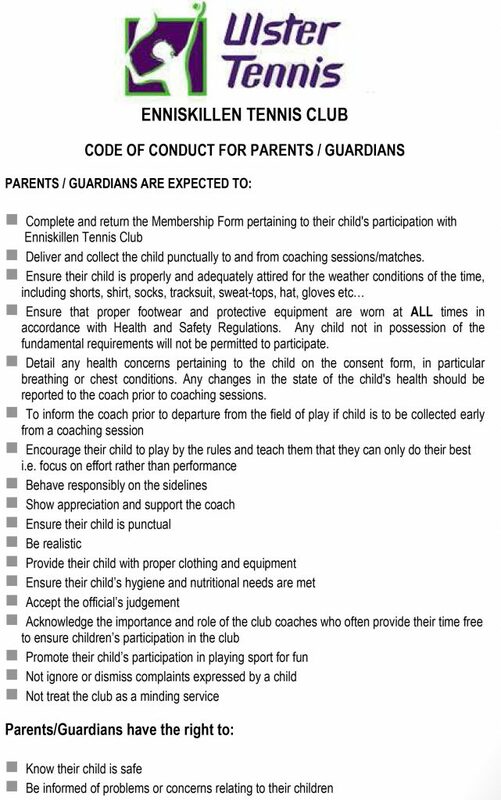 If you wish to continue paying just adult fees via DD please ensure you make arrangements to pay the Junior affiliation fees separately. 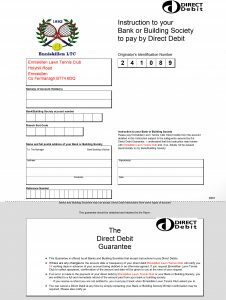 Any members wishing to start paying by DD please complete the DD Mandate form and return to myself or place in envelope in clubhouse postbox. I will be processing the initial DD by the end of March so please get mandate to me by Friday 20th March. 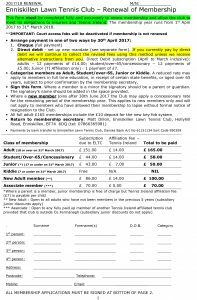 In order to formalise and improve the focus and running of the club, we are currently in the process of applying for Clubmark Accreditation from Ulster Tennis. As a result, and also to comply with certain administration requirements we would ask that the attached forms are completed by all members. 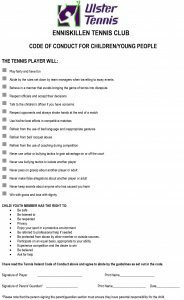 The Form Must be completed fully and accurately to renew membership and allow the club to meet its obligations to insurer and Tennis Ireland. 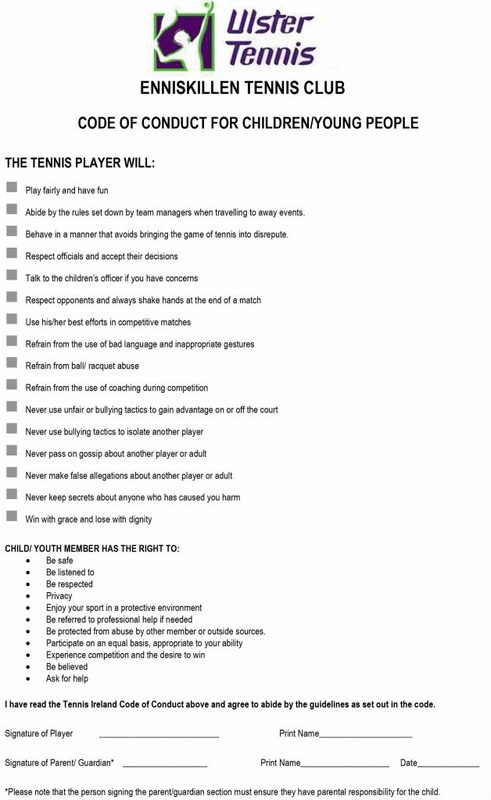 Code of Conduct for children and young people.